This home is one that you must add to your list of must see homes. The owners have redone almost everything in this home in the last few years. 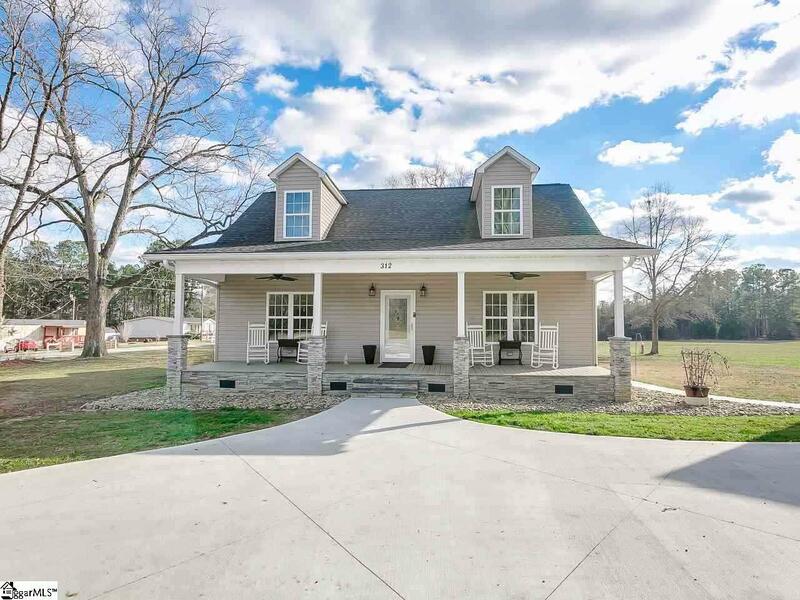 When you arrive at the property you will see this 1946 farm house has been renewed. 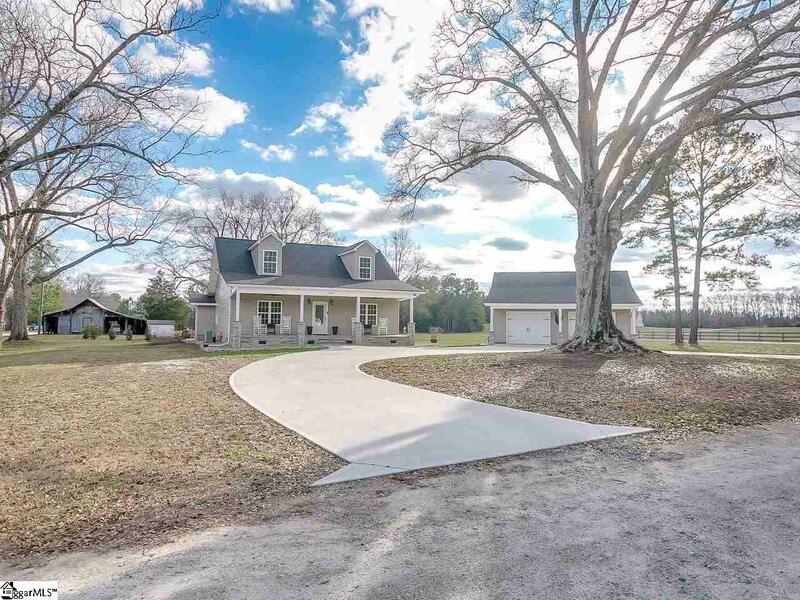 You notice first the concrete circular driveway that is surrounded by a large oak tree, the detached garage has been added. As you approach the front porch you will notice that it is floored with trex decking. Open the decorative front door you are welcomed by the beautiful dark hardwood floors, neutral paint colors. The kitchen on this home is the real focal point, the kitchen sports newer cabinets, farm sink, a large island stainless steel appliances and an area for the formal dining. 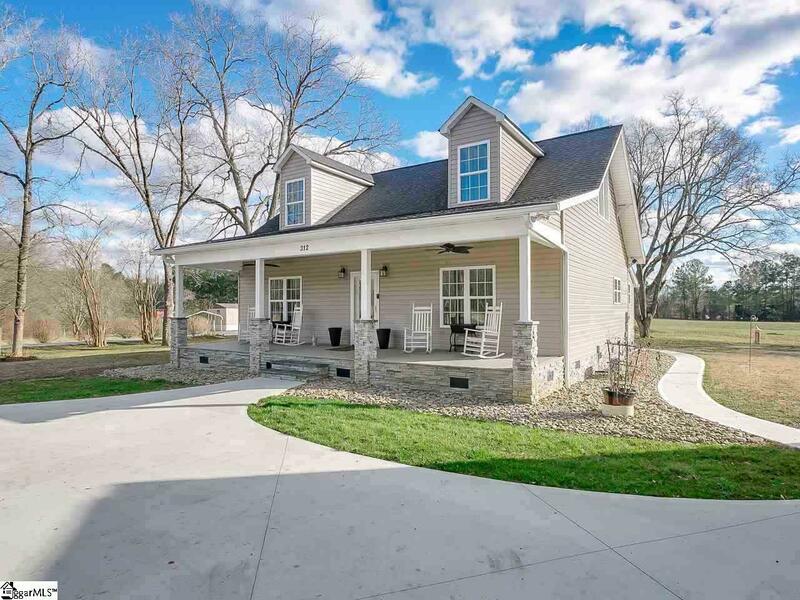 As you approach the sunroom area of the home you have the laundry room on the right that is accessed by the sliding barn door, and on the opposite side of that is the walk in pantry, that could easily be turned into a half bath. The master suite has a large walk in shower, vanity with a granite countertop. you have one additional bedroom on the main level with the third bedroom and private bath being upstairs. The upstairs has it own HVAC unit. 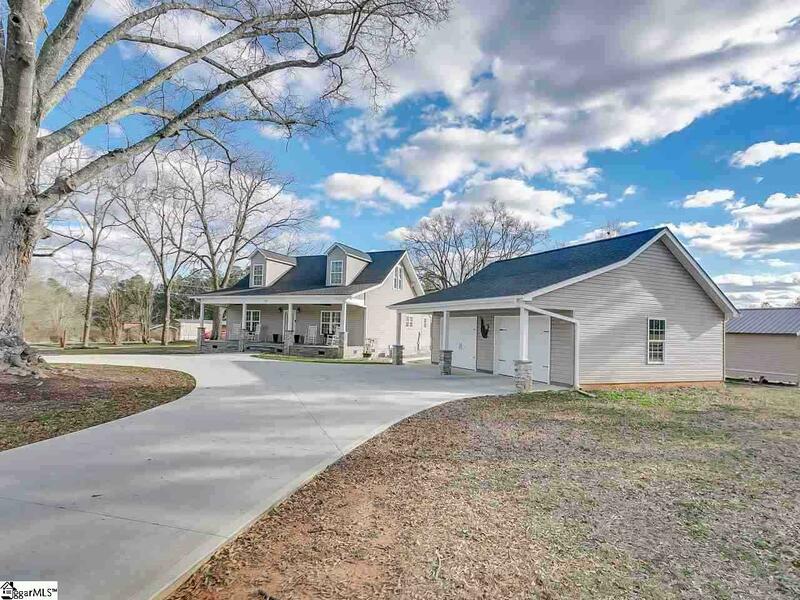 The rear of the home has two large patio area's plus and old barn. The pigeon house can stay or be removed, it's a buyer's choice. Some light fixtures will be replaced ask for more details on this and two pieces of art work that are screwed to the wall will be removed. Call today for your private showing.